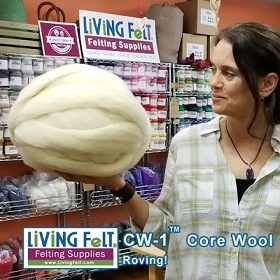 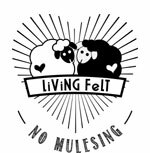 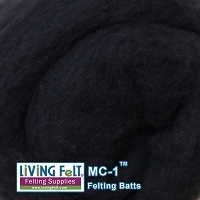 Our MC-1 Merino Cross Felting batts are used by felt artists all over the world for their life-like colors, high quality, ease of wet felting and needle felting and for the smooth, consistent end result that artists and hobbyists desire in their felt creations. 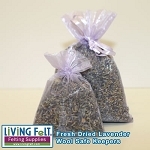 Sold by the ounce, in 2 ounce increments. 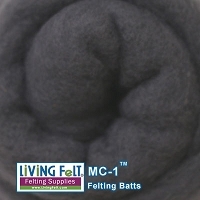 Our signature wool batting known as MC-1 comes from sheep raised on U.S. farms. 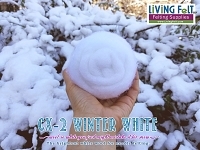 It is carefully washed with an eco-friendly soap, and air dried. 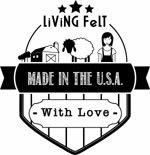 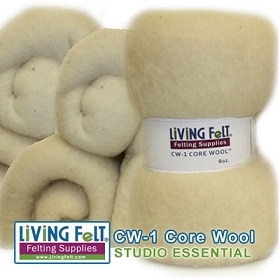 No harsh chemicals are used in this process, and our fiber is not "carbonized". 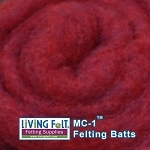 It is then dyed professionally and prepared into large, lofty batts on a drum carder. 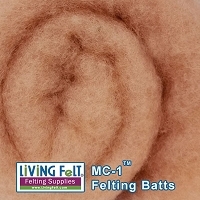 If you needle felt animals, small sculptures or even pictures, you will love how smooth these felting wool batts will needle felt! 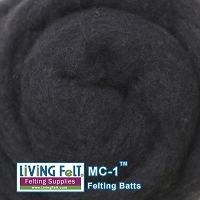 They also wet felt like a dream and are great for felt paintings, purses, vessels, etc. 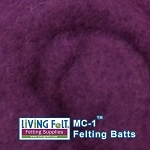 They are often referred to as "fast felting batts" by people who use them. Developed by a felter for felters - you will LOVE working with our signature MC-1 Felting Batts, available in more than 75 colors. 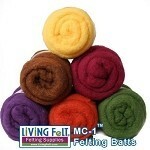 Choose single colors in 2oz increments, or select from our many assortment packs! 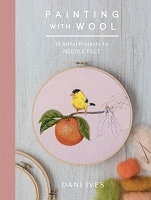 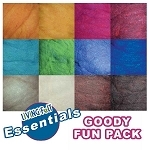 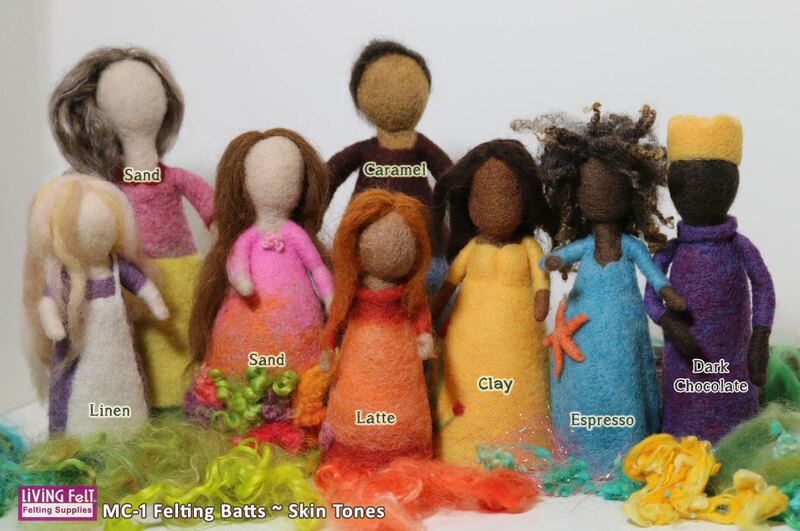 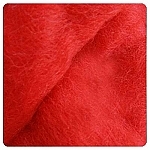 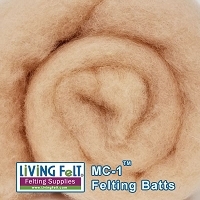 flesh colored felting wool, a beautiful range of skin tones for needle felting dolls and faces, or wet felting pictures. 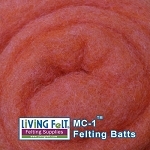 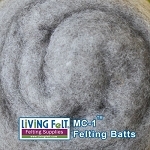 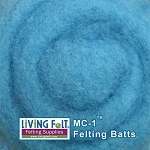 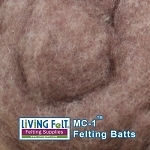 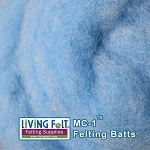 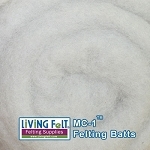 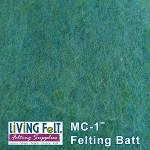 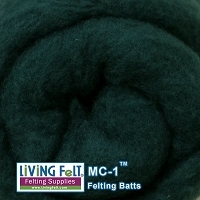 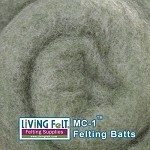 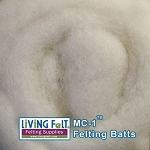 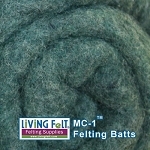 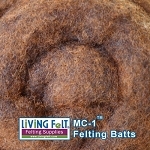 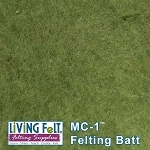 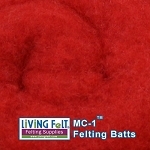 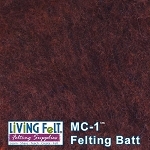 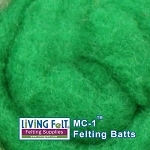 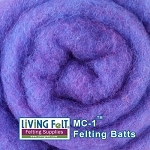 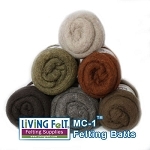 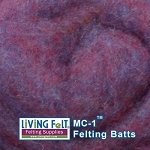 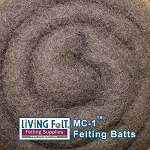 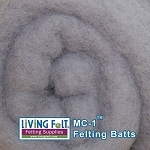 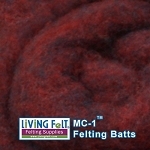 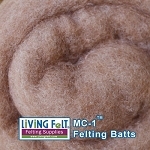 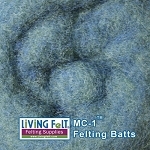 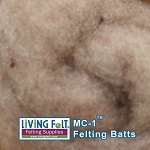 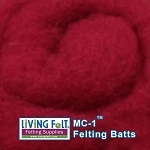 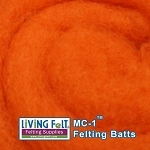 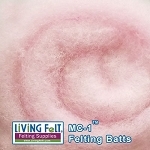 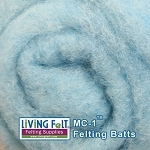 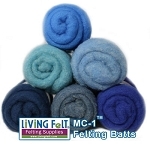 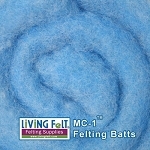 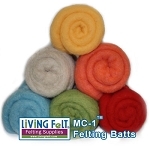 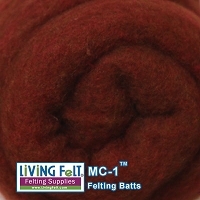 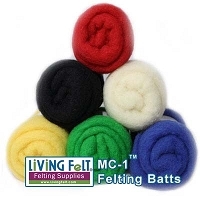 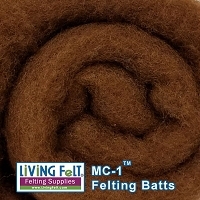 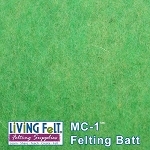 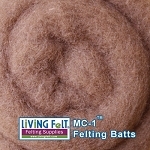 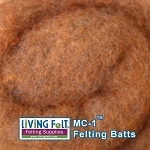 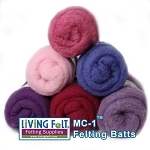 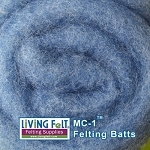 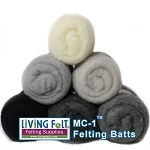 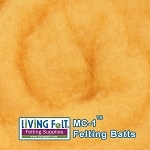 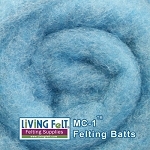 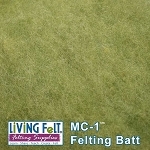 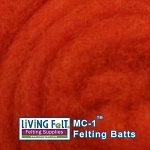 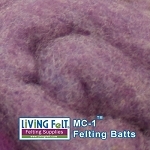 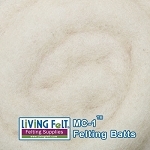 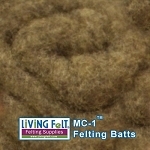 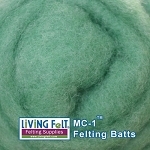 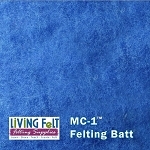 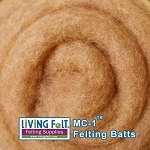 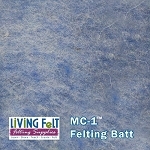 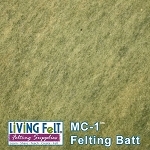 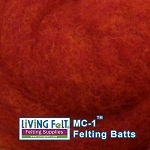 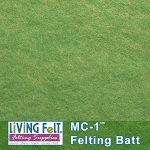 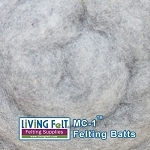 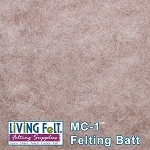 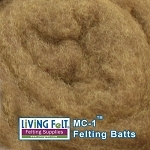 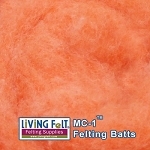 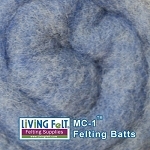 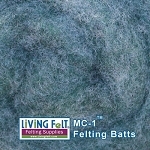 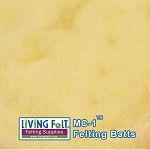 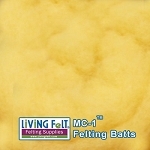 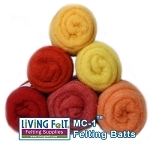 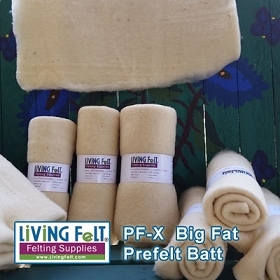 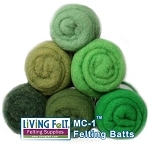 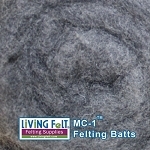 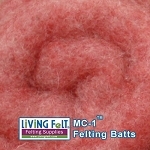 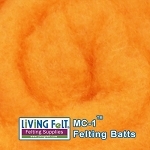 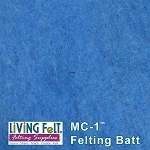 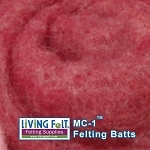 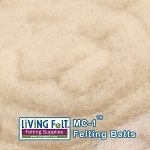 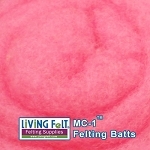 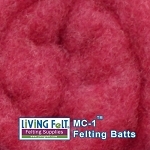 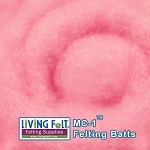 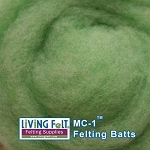 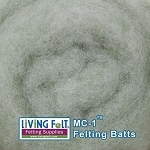 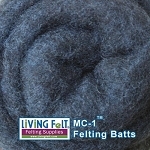 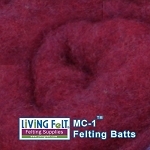 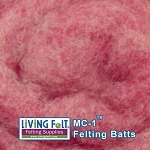 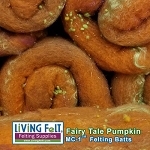 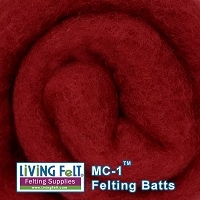 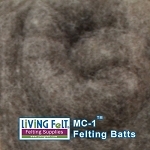 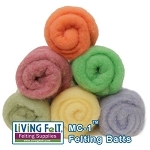 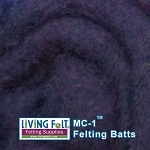 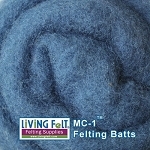 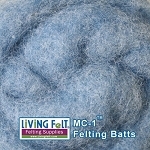 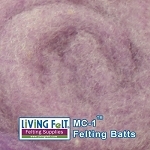 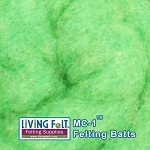 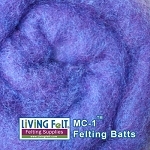 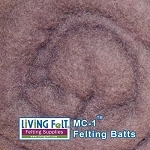 MC-1 Felting Batts for wet felting and needle felting, by Living Felt.